The Portuguese food and wine Tour was carefully prepared for those who want to experience the Portuguese lifestyle at its best. This tour will show you why Portuguese food and wine are so special. With stops that includes Lisbon, Sintra, Oporto, Douro and Alentejo region you’ll experience Port wine tastings in famous cellars, visit small family run wineries, restaurants with the best Portuguese traditional gastronomy that Portugal has to offer, fishing village lunches, city markets and tradicional Portuguese food. 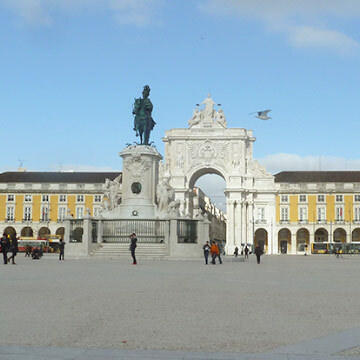 Your tour guide will meet you at the airport and take you on a tour to the famous neighborhood of Belém where you can taste the unique custard tart of Portugal: ‘Pastel de Belém’. 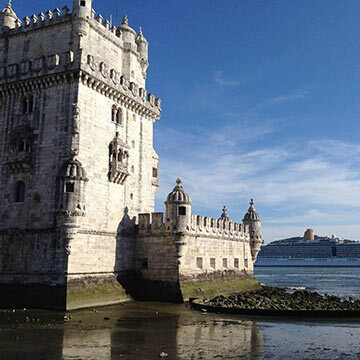 You will also have the chance to see both heritage sites monuments; The Jerónimos monastery and the Tower of Belém. You’ll only feel you arrived in Portugal after you hear Fado. 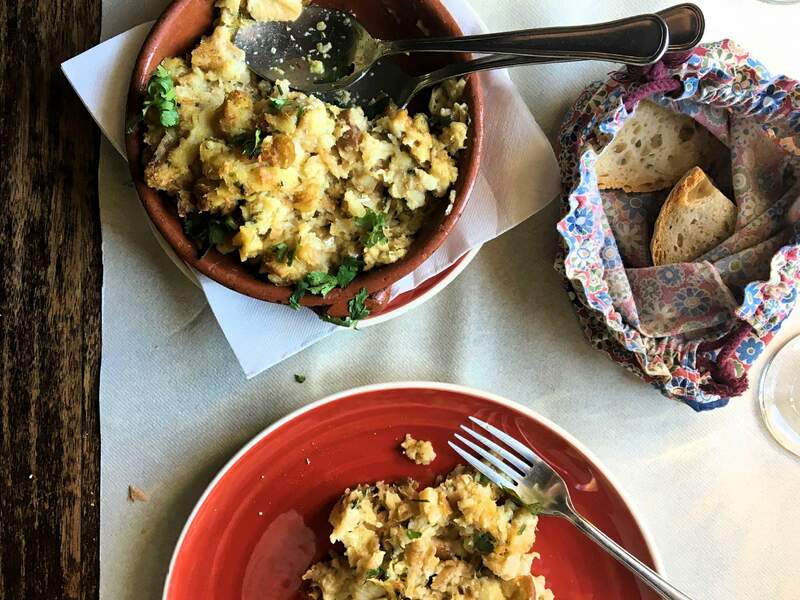 Have dinner at a famous Fado house and enjoy a grilled cod fish with smashed potatoes and olive oil in the oven while you listen to the beautiful Fado music. Visit the charming village of Sintra, located in a Natural Park with castles and grand mansions used as summer houses by the Portuguese royalty. It’s a UNESCO World Heritage site and owing to its beauty is one of the most visited sites in Portugal. A summer palace constructed in the 19th Century by Kind consort Ferdinand II of Portugal. He turned a 16th Century monastery ruins into one of the most eclectic palaces in Europe by blending different types of Gothic, Egyptian, Moorish and Renaissance elements to it. Around the palace he created a park where he planted different exotic species of trees from all over the world. An astonishing fairytale palace located on one of the highest peaks of the Sintra mountain range. Visit the historic centre and go inside small shops and bakeries, that sell local products and handicrafts. The wine region of Colares was defined in 1908, becoming the second oldest demarcated region in the country. In 1865 the arrival of the phylloxera in Portugal damage most of the country’s vineyards. In Colares, the sandy soil vines due to the depth of the roots did not allow the propagation of the insect as it did in other types of soils and thus the vines were not damaged. You’ll have the opportunity to taste this unique wine. Visit a local fishing restaurant and taste a grilled fresh fish with a cold bottle of Vinho Verde (unripe wine) to go with your meal. Lourinhã is one of the three demarcated regions of grape brandy in the world alongside with the French Cognac and Armagnac. You’ll taste the so called ‘Aguardente’ that is so popular in Portugal and in the world. Nazaré is a seaside resort with its own charm. Its the perfect place to enjoy a fresh grilled fish. Considered the Venice of Portugal, here you will take a boat trip through the city’s canals and taste its famous sweets. At the village of Nazaré taste a grilled octopus with olive oil, garlic and smash potatoes on the side. A dish that you’ll never forget. Port’s Wine is internationally acclaimed for its quality and although it is produced in the Douro Valley, the cellars are located in Oporto. Have a taste of this amazing and worldwide knowned Oporto’s wine. The Francesinha in Oporto it’s the must eat dish! Go to a local restaurant the is famous for cooking the best Francesinha in Portugal. Explore one of the most beautiful region of Portugal: The Douro Valley, classified as a World Heritage site by UNESCO. Do a panoramic tour and see breathtaking landscapes of vineyards planted on the mountains slops, visit local wineries and taste the famous Douro wine. There’s nothing better than having lunch in a local winery surrounded by vineyards and with the Douro valley as background. A unique tour that highlights the charms of the Alto Minho region. Along the day you’ll visit the historic centres of Valença, Monção and Melgaço and family run wineries with beautiful vineyards and ancient cellars. Green wines are produced in the largest demarcated region of Portugal. It’s a young fresh wine, perfect for hot summer days. Discover this beautiful hilltop town by the river Minho. Visit its fortress and enjoy the fantastic views of the River Minho. Village known for its wine, its customs and traditions. 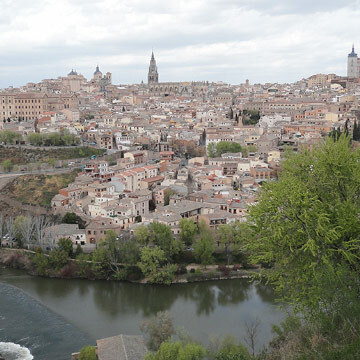 It’s a fortified small village on top of a hill with a peaceful atmosphere. Walk around the towns’ medieval centre and enjoy the feeling of being in a Portuguese small village. Surrounded by vineyards and the mountains of Peneda-Gerês National Park, its setting is breathtaking. Visit a local family run winery and enjoy a delicious meal, prepared specially for you, paired with their famous ‘Vinho Verde’. The bairrada region is famous for its sparkling wines which are very popular amoung the locals, specially if they are eating the traditional dish: roasted suckling pig. Its meat is so tender, and its skin is so crispy and tasty the it became one the most requested dishes in Portugal by the locals. Served with French fries and a salad! After lunch you’ll visit the oldest winery of the region. Walk around the historic centre of Tomar and visit the churches of ‘São João Baptista’ and of ‘Santa Maria do Olival’ and the ancient 15th Century Jewish synagogue. Alentejo region is famous for its black Iberian pig. This free-range pig is on an acorns diet so its meat is full of flavor, succulent and delicious. With so many different food options Portugal has always a little something for everyone. Why not taste a little of everything? You’ll go to a local restaurant that will serve you our best Portuguese ‘tapas’. This is a great option for who want to taste different Portuguese dishes. On your 3rd day you have the option of visiting a windmill and learn how to make the West Coast Portuguese bread using traditional baking methods. In the end we will eat everything with home made jams, cheese, butter paired coffee, tea or juice.